This winter, Los Angeles Dodgers ace Clayton Kershaw signed a contract to make him the highest-paid pitcher in Major League Baseball. The two-time Cy Young Award-winner has a reputation for signing baseball cards that makes him a favorite of autograph collectors with patience. 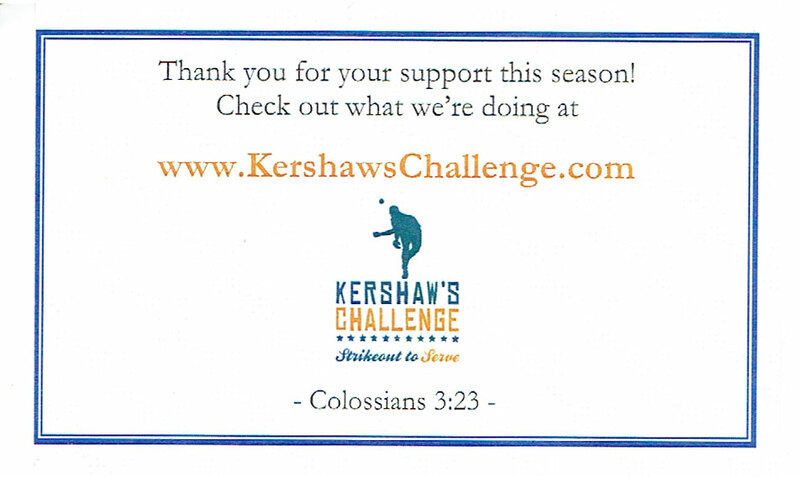 Send a baseball card and a self-addressed, stamped envelope to Kershaw c/o the Dodgers’ spring training camp in Arizona, and next winter you may just find a signed card waiting in your mailbox. 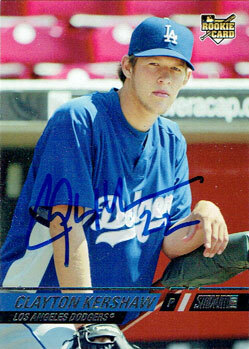 I wrote to Kershaw last year, mailing my card on February 11th, 2013. Last month, I got it back – coincidentally on February 11th, 2014. Nice! Much cheaper than what you’d pay from Steiner. You won’t find that in the 3 for $99 section. Very true – I couldn’t afford one from Steiner. I suppose there’s some chance that someone other than Kershaw signed my baseball card, but considering that I invested the cost of two stamps and a duplicate baseball card, I’m ok with that.